The Independent National Electoral Commission says no voter will be allowed to vote with the temporary voter card, in the forthcoming general elections. Prof. Francis Ezeonu, Imo State Resident Electoral Commissioner, made this known at an interactive meeting with religious bodies; members of the Christian and Muslim communities in Imo, on Tuesday in Owerri. 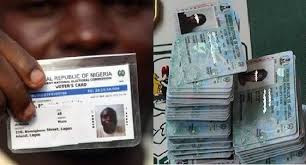 He noted that the smart card reader which would be deployed for the elections was structured to read only the Permanent Voter Cards which has special features embedded on it with the voters’ personal information.